Charlotte-Mecklenburg police want to alert the public about a string of robberies where people’s sneakers are being stolen. Officers said some of the robbers and victims are meeting in a Facebook group called the Sneaker Head Society. They said it runs a lot like Craigslist, where people meet up with others to sell a pair of hard-to-find sneakers. Police encourage people to always arrange to meet in a public place and make sure the other user’s profile stays on the site after you set up the meeting. 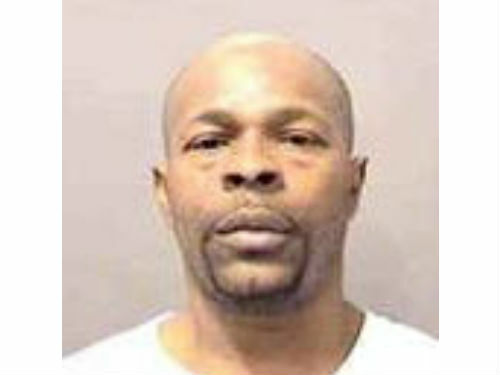 Officers with the Cold Case Homicide Unit arrested a man they say is responsible for a murder that took place nearly eight years ago, according to the Charlotte-Mecklenburg Police Department. Darryl McPhaul, 46, was arrested Monday morning for his involvement in the 2005 murder of Troy Kidwell on West Sugar Creek Road, the release states. Kidwell was found dead in a hotel room by the hotel manager after he failed to check out on the morning of March 26, 2005. A medical exam determined he had been strangled, police said. Detectives have re-interviewed witnesses and re-examined physical evidence from the scene, including new DNA evidence that, once submitted to the lab, matched that of McPhaul. A warrant was immediately obtained for his arrest. On January 29, officers apprehended McPhaul on Siegel Avenue. After being interviewed by detectives at CMPD Headquarters, he was charged with murder and placed in the custody of the Mecklenburg County Sheriff’s Office. Charlotte-Mecklenburg police are asking the public’s help in finding a man who has been missing since the beginning of January. Chambers did not return home, and his family and friends have not heard from him. This ongoing investigation has included posting bulletins, checking hospitals, and checking with the bus system. Chambers’ family believes that he may be suffering from mental issues, and they are concerned about him. Anyone who sees Chambers or who has information in this incident is asked to call Crime Stoppers at 704-334-1600, or call CMPD detectives at 704-336-7495. A man accused stealing a woman’s purse at gunpoint in the parking lot of a beauty supply store in the University City area was arrested after a nearly two hour standoff with the Charlotte-Mecklenburg Police Department’s SWAT team Tuesday night. Police said that 43-year-old Wilburt Lane brandished a handgun and took a woman’s purse in the Ulta parking lot on J.W. Clay Boulevard just after 7:15 p.m. When Lane fled in a vehicle the victim followed him in her own car and was able to tell police where he went. According to officers, Lane barricaded himself in a unit at the Colonial Grand apartment complex on Grove Crest Lane. After almost two hours, he surrendered without incident and was booked in the Mecklenburg County jail on armed robbery charges. Six members of an organized retail crime ring will serve time in prison for selling and distributing more than $16 million in stolen over-the-counter, health and beauty aid products, according to the U.S. Attorney for the Western District of North Carolina. Four people were sentenced Thursday and another two received prison sentences in October as a result of “Operation Cash Back,” a multi-agency investigation into the buying and selling of the stolen pharmaceutical products, authorities said. The investigation began in September 2010. The prison sentences for those involved range from 18 to 86 months and include an order to pay more than $4,000,000 in restitution. U.S. District Judge Max O. Cogburn Jr. also ordered the forfeiture of more than $17,000 in cash, 20 vehicles, two real-estate properties and a forfeiture money judgment of $7 million. The six defendants in the case each pleaded guilty in June 2011 to one count of conspiracy to commit interstate transportation of stolen property. Court documents show that from 2006 to March 2011, the retail crime ring bought then sold over-the-counter medications, dietary supplements and beauty aid products at prices far below retail and wholesale prices of the stolen goods. The stolen items came from various pharmacies and retail stores across North Carolina, South Carolina, West Virginia, Georgia, Pennsylvania and Connecticut, authorities said. The defendants are: Bonnie Knight Bridges, 63, and Kimberley Bridges Morris, 37, both of Bessemer City, Michael David Morris, 40, of Charlotte, Darlene Bridges Schoener, 39, and William Christopher Schoener, 33, of Kings Mountain, and Darryl Keith Brock, 45, of Cowpens, S.C.
Bridges, Kimberley Morris, Michael Morris, Darlene Schoener and William Schoener also all pleaded guilty to one count of tax evasion conspiracy. Bridges is the mother Kimberley Morris, who is married to Michael Morris, and of Darlene Schoener, who is married to William Schoener. The first-level fences serve as middlemen between the boosters and “second-level fences” who distribute the stolen goods to people who distribute the stolen products back into the retail market, authorities said. The Bridges family members served as the first-level fences in the operation, according to court records and court hearings. The Bridges paid cash to boosters when purchasing the stolen products and were, in turn, paid in cash by their second-level fences for the items, court records show. Kimberley Morris and Darlene Schoener were sentenced Thursday to serve 18 months in prison followed by three years of supervised release. Michael Morris was sentenced to 84 months in prison and two years of supervised release. William Schoener will spend 86 months in prison and two years on supervised released. Bridges was sentenced in October to serve 70 months in prison followed by two years of supervised release. The judge also ordered her to pay $4,035,636 in restitution. Darryl Brock was also sentenced in October; he’ll serve 20 months in prison and will have to pay $2,128,059 in restitution. Danielle Watson’s murder changed the way Charlotte police dispatch calls, and marked the first time prosecutors in North Carolina sought an indictment for the murder of an unborn baby. On Thursday, the man accused of the killings, Mark Anthony Cox, agreed to spend the rest of his life in prison rather than risk being sentenced to death for the January 2012 murders of the Flying Biscuit Café manager and her unborn child. Mark Cox, 22. Mecklenburg County Sheriff’s Office photo. Prosecutors had announced last May that they would seek the death penalty against Cox, a 23-year-old convicted felon who committed the slayings at the south Charlotte restaurant just two months after getting out of prison. But Cox pleaded guilty to first-degree murder, murder of an unborn child, robbery with a dangerous weapon and felony larceny. He was sentenced to life in prison without parole for each of the murders. Keith Smith, Watson’s fiancé, kept calling Cox “a coward” as he spoke to the judge before the sentencing. “This coward has committed the ultimate trespass,” he said. Smith pointed out that the Bible says to forgive. “But I promise you this, it’ll never be in your lifetime,” he said. But she told Superior Court Judge Bob Bell that her daughter’s spirit will live on. Cox, dressed in an orange jail uniform, didn’t speak to the family of the victims. Danielle Watson was a manager at the Flying Biscuit off Rea Road in the StoneCrest at Piper Glen shopping center in south Charlotte. Cox, who had just gotten out of prison in November 2011, worked there. The Charlotte-Mecklenburg Police Department’s 911 system came under criticism after the killings. Watson’s body was found behind a Dumpster about six hours after her boyfriend called police saying he thought a robbery was taking place at the Flying Biscuit Café. When Smith called 911, the dispatcher typed in the wrong address. The dispatcher was placed on administrative leave. The responding officer searched a business park near the erroneous address but not the Flying Biscuit Cafe, about four miles away. CMPD changed its policy to require 911 dispatchers to confirm addresses. The owner, Will Bigham, couldn’t be reached Thursday. The restaurant last week donated a day’s profits to the American Cancer Society in Watson’s honor. Bigham said in a statement issued then that the restaurant is committed to honoring Watson’s memory. The statement said that the restaurant covered all funeral expenses and had donated thousands to the Danielle Watson Memorial Fund and to the Cancer Society on her behalf. Cox saw Watson pick up her phone and start dialing. He thought she was calling police and became enraged. He then grabbed a knife and stabbed Watson multiple times. Cox took Watson’s phone, keys and purse and then drove away in her 1997 Chevrolet Cavalier. He returned to the restaurant and cleaned the kitchen, using bleach, a mop and a scrub brush. Cox neglected to clean several drops of blood from various surfaces in the kitchen, Ashendorf said. Cox took Watson’s body and left it behind a nearby Dumpster. He then returned to the restaurant and went to the safe. He found cash deposits from the week totaling $1,690 and about $1,000 in the daily cash box. He returned to the restaurant again – this time to make sure he had thoroughly cleaned the kitchen. “He wanted everyone to think that Danielle had stolen the money and disappeared,” Ashendorf said. Ashendorf said that during the next two days, Cox went on a spending spree with the stolen money, buying merchandise, food, alcohol and hotel rooms for himself and his friends. Watson was stabbed more than a dozen times. The autopsy found her cause of death to be stab wounds to the neck and chest. The Butler High School grad was engaged and had learned only weeks before her death that she was pregnant. Her autopsy confirmed she was seven to eight weeks pregnant. Cox was charged with the murders of both Watson and her unborn baby. Under a state law that went into effect in December 2011, anyone accused of killing a pregnant woman could face two murder charges: one for the woman, the other for her fetus. After Watson’s killing, police searched the apartment where Cox lived with his sister and mother. As they arrived at the apartment, investigators say they saw “a blood trail leading to the residence as well as blood on the front door,” according to a search warrant. Police also saw what appeared to be blood throughout the apartment. A large butcher knife was on the kitchen counter in a mug filled with an unknown liquid. Cox told his sister he had stabbed Watson multiple times during an argument inside the cafe, the search warrant says. Police captured Cox at an acquaintance’s home in Fayetteville. They found Watson’s car a block or two away. During Thursday’s hearing, Ashendorf told the judge that blood was found inside Watson’s car. Inside the trunk of the car, police found a bag of bloody clothes, Watson’s missing shoe (the other one was on her foot when her body was found) and the murder weapon – a yellow Povinelli knife with a 9 1/2-inch blade and a 5-inch handle. Ashendorf told reporters that getting the life sentences for Cox avoids a decade or longer of appeals had the killer been put on trial and sentenced to death. A Charlotte man was sentenced to 15 years in prison Wednesday for keeping a loaded .22-caliber revolver in his car while he was a convicted felon. Ramsey Dean Lewis, 44, was charged with one count of possession of a firearm by a convicted felon in July 2011 after authorities found the gun in his car when he was in an accident, court records show. Lewis pleaded guilty to the charge in December 2011. His prior felony convictions prohibit him from carrying a weapon, which caused him to be sentenced as an armed career criminal. Lewis has been in federal custody since July 2011. He will be transferred to the custody of the Federal Bureau of Prisons, according to a Department of Justice news release. All federal sentences are served without the possibility of parole. Six defendants in Mecklenburg County homicide cases pleaded guilty in court Thursday, including 23-year-old Mark Anthony Cox, who pleaded guilty to first-degree murder, the murder of an unborn child, robbery with a dangerous weapon and felony larceny for the murder and robbery of Danielle Watson, an employee at The Flying Biscuit restaurant. • Edward Timothy McClain, 43, pleaded guilty to voluntary manslaughter for the March 2012 death of a woman at Knights Inn in northwest Charlotte. McClain was a long-haul trucker who stopped in Charlotte to rest and seek adult company from 39-year-old Yolanda Copper. After Copper came to his hotel room, McClain thought that she had taken his money. He confronted her, and Copper assaulted him, authorities said. Prosecutors said McClain used excessive force to defend himself when he choked Copper, who later died of her injuries. McClain has been sentenced to serve between 85 and 114 months in prison. • Maria Turcios, 42, pleaded guilty to voluntary manslaughter in the death of Ricardo Torres, 32. Turcios was sentence to serve between 64 and 89 months in prison for the stabbing Torres to death in March 2012. Police found Torres in the parking lot of Charlotte apartment complex; Turcios also had stab wounds and spent several days in the hospital for treatment of her injuries. She claimed she was acting in self-defense, prosecutors said. • Two defendants pleaded guilty on charges related to the June 2011 killing of Singbay Mulbah, 32. Therome Willie Poe, 30, pleaded guilty to conspiracy to sell cocaine. Poe was sentenced to serve between 17 and 21 months in prison but the sentence was suspended pending the successful completion of 36 months of probation. As conditions of his probation, Poe must serve six months in prison and pay restitution. Meanwhile, Kevin King, 22, pleaded guilty to accessory after the fact of an attempted robbery with a dangerous weapon. He will be sentenced at a later date, prosecutors said. Charges against two other defendants in the case are pending. • James Farris Hodges, 29, pleaded guilty to two counts of accessory after the fact to first-degree murder. The charges are related to the murder of Jared Bolli in Pineville in January 2010 and the separate murder of Brook Crist in Charlotte in August 2010. Prosecutors said Hodges will be charged at a later date. Charlotte-Mecklenburg police are investigating a fatal shooting early Friday in the Sedgefield community. Police were sent to a duplex in the 300 block of Elmhurst Road around 5:45 a.m. after receiving a report of shots being fired. Once there, police found a male victim with a fatal gunshot wound. His name has not yet been released, pending notification of his family. No arrests in the case have been announced yet. Crime scene tape was around two buildings of duplexes, and more than two dozen officers were visible near the scene. Representatives from the Mecklenburg County District Attorney’s homicide team also were among those at the scene. A neighbor who lives four houses away from where the victim was found said he heard several banging sounds around 5:30 a.m. Friday, but thought the noises was coming from construction. He said he later realized that a shooting had occurred when he saw police cars. Anyone with information about the shooting is asked to call 704-432-TIPS and speak directly with a homicide detective. You can also call CrimeStoppers at 704-334-1600. Charlotte-Mecklenburg police Chief Rodney Monroe said Wednesday that the city’s overall crime rate rose by 2.8 percent in 2012 fueled, in part, by an increase in robberies and aggravated assaults. The department recorded 1,798 robberies during the past year, an increase from 1,612 in 2011. In addition, there were 3,165 aggravated assault cases, compared to 2,901 a year earlier. But the city saw fewer homicides and a 9.1 decrease in burglaries last year, according to statistics released Wednesday. The crime statistics were unveiled at a ceremony held at CMPD’s Freedom Division, which saw its overall crime rate go down by 3.5 percent. Police said that was the largest decline among CMPD’s 13 divisions. The Freedom Division covers 46.1 square miles and serves a portion of west Charlotte, including the Freedom Drive corridor and a number of older neighborhoods in the area. Capt. Gregg Collins said the division and west side of town has “historically been seen as more violent.” But he said it was nice to see the year-end stats. “The amount of violence has completely changed,” Collins said in an earlier interview. Collins attributes part of the division’s success to an intense focus on crime prevention and specialized units that watch crime patterns and histories for certain locations and people. Over the past couple of years, the Freedom Division has created special burglar apprehension and domestic violence teams that target those crimes, Collins said. As a result of the former, the division has seen the number of burglaries fall from a high of 802 in 2008 to 527 in 2012, Collins said. Partnerships with community groups and residents have also helped make neighborhoods within the division safer, police said. Hannah Clinton, a resident of the Todd Park neighborhood along Toddville Road in Freedom Division, began working with CMPD in the 1990s when she first joined the Todd Park Neighborhood Association. Then, she said, the neighborhood was riddled with crime, including street-level drug deals and home invasions. Now, through community-police cooperation, Todd Park is a decent place to live, Clinton said. “I feel they have done an excellent job … they took it on as their own neighborhood,” said Clinton, who was recognized at Wednesday’s ceremony as an important community leader within the Freedom Division. In 2013, Chief Monroe said the department will focus on enhancing a 24-hour monitoring center for surveillance cameras the department got during the DNC, as well as work with the Mecklenburg County District Attorney’s Office and judges to focus on repeat offenders. He identified the habitual offenders who are out of jail and back on the streets as one of the department’s biggest challenges. “If people do not believe that there is a penalty for committing crimes in our community, they will only continue to do such,” Monroe said.